To be honest, Singer 9340 may not excite you much in terms of performance. But still it is a feature packed advanced sewing machine. There are some areas where it needs to improve. Singer Signature 9340 is not as popular as the 9960, but the former is less expensive. This is an advanced sewing machine and it packs almost all the features required by an advanced user. 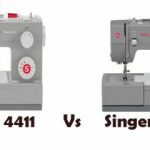 9340 comes with 340 built-in stitches including 7 essential stitches, 4 stretch stitches, 319 decorative stitches, 2 built-in styles of alphabets, numbers, symbols and 10 one-step buttonholes. The backlit LCD screen is fairly large, which gives an easy view of the stitch settings. The stitch settings are automatically set for optimal results. The screen also recommends the type of presser foot to be used for a selected stitch pattern. The automatic needle threader makes threading very easy. 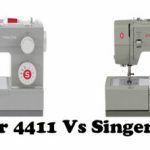 Singer claims that you can thread 9340 in 6 seconds, which is slightly exaggerated as the threading speed always comes down to user expertise. An automatic thread cutter is also provided. Programmable needle up/down feature is also included. It is a must have for quilters. It is really useful while pivoting or removing the fabric. The electronic auto pilot feature lets you sew without the foot pedal and that too at different speed settings. The top drop-in bobbin with clear cover lets you keep an eye on the thread supply. You can reinforce the stitches using the automatic locking stitch function. The reverse stitch button is also placed conveniently. The maximum stitch width that can be attained is 7mm. Another cool feature is the button for twin needle sewing. Once you touch the button, the stitches will automatically adjust for twin needle sewing. 13 needle positions are available on Singer 9340. Singer 9340 even comes with mirror imaging and stitch elongation function. You can mirror image stitches with just the touch of a button. The stitches can be made 5 times longer with the stitch elongation function. 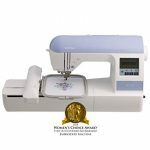 With the stitch editing capability of this machine, you can control and sew a stitch pattern exactly the way you want it to be. There is no limit for customization. Another great feature is the ability to do monogramming. You can do monogramming in 2 styles. Free-motion sewing is a breeze as it comes with a drop feed dog lever. Singer 9340 even comes with built-in memory. For me, memory function is the coolest feature on this machine. It has 4 memory modules, each module can hold up to 20 entries. You can store customized stitch sequences, alphabets etc on the memory. You can even edit those saved patters for further customization. If anything goes wrong with the machine, an error alarm will go off. You can deactivate the alarm if you want. The maximum sewing speed that can be attained is 750 stitches/min. To be honest, the motor could have been more powerful. 750 stitches/min is just about average. The extra-high presser foot lifter offers more clearance while working with multiple layers of fabrics. The machine is free arm capable as well. On-board storage is provided for storing all the accessories. The extension table provides extra room for working on larger projects. As far as the weight of the machine is concerned, it is not too heavy or not too light. It weighs 13.25 pounds, heavy enough to prevent vibrations and light enough to carry. It comes with 25 year limited warranty. A dust cover and a set of accessories are included. The overall construction of Singer 9340 is quite good. The inside is all metal and the exterior is made of good quality plastic. Even though this is an advanced sewing machine, it is not that heavy. So you can easily carry it around. The straight stitches look good on this machine. Even though it is a sewing machine designed for advanced use, all the features doesn’t quite work well as we expected. 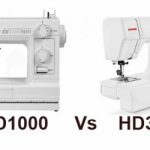 It is still a good machine for basic sewing, but it needs improvement in performance from the point of view of an advanced user. Using the automatic needle threader is a pain. It may or may not work, there is no consistency. Some of the monogram alphabets don’t look good. The user manual needs a lot of improvement. Not much details about monogramming. Some users have pointed out issues with bobbin jamming. Singer 9340 is kind of an okay machine. But it surely is not a sewing machine that will excite you a lot. You may still be able to use it without any issue. But the current price and performance of 9340 is something that will worry me as a sewer. The best alternative I can suggest is the Singer 9960 Quantum Stylist. It costs few dollars more, but I feel it will be worth spending. 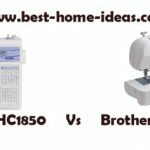 It is an excellent advanced sewing machine with 600 built-in stitches and features much more advanced than 9340. 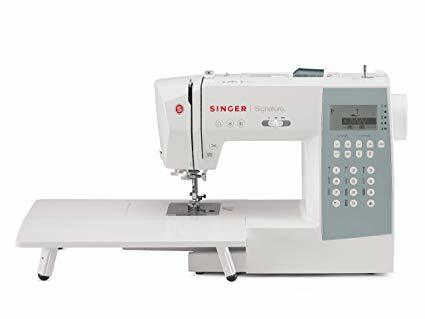 Singer 9960 is one of the best advanced sewing machine I have ever come across. Its quality is commendable. That is the reason why it features in our list of ‘Machines You Can Buy With Your Eyes Shut’.